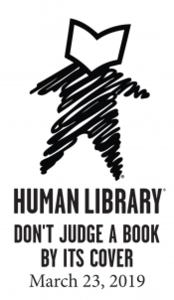 Saturday, March 23 Wilton Library’s Human Library, 1 – 5 p.m. “Don't judge a book by its cover”—but in this case, we mean human beings, not books! Our human books are community members who have volunteered to share their stories in order to break down barriers based on appearance or identity (e.g. ; age, race, sexual orientation, religion, ability, lifestyle choices, etc.). The Human Library is an international movement that started in Denmark in 2000 and is now held in more than 70 countries. Wilton Library is the first non-academic library in Connecticut to receive permission from the Human Library Organization to host an event. This is the time for open conversations between two people in a non-judgmental environment. Spend a few minutes with each “book.” It is an opportunity for those who have faced prejudice to tell their story and show people who they really are; and it is a chance for others to change their preconceived notions based on a person’s appearance or identity. No advance registration; no fee. Come and enjoy the experience.